In August the Trump administration announced additional tariffs of 25% on goods from China. 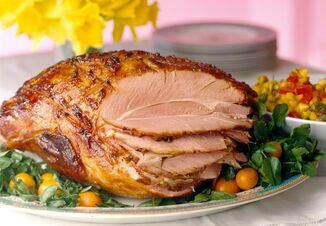 The Chinese ministry of commerce announced increased tariffs on hog casings, the No. 1 variety meat item exported to China. Producers were pleased the administration was taking steps to offer some type of financial assistance what would provide at least short-term economic relief. Few details about the massive trade aid package were made available at the time of the announcement. The administration has earmarked $12 billion for the assistance plan that was created to ease the financial pressures placed on U.S. farmers hurt by the trade battles between China, Mexico, the European Union and Turkey. Chinese trade officials were set to meet with U.S. officials near the end of August. While many view this as a positive step, administration officials continue to caution that there is no set deadline to end the trade dispute with China. North American Free Trade Agreement (NAFTA) negotiations between the U.S. and Mexico should be wrapped up soon. Up next will be the negotiations between the U.S. and Canada. Indications are that Canada is preparing to return to the negotiations as soon as the U.S. and Mexico discussion is concluded. Canada has stayed on the sidelines while the other two countries hammered out the details on labor issues. Trade experts in the nation’s capital continue to speculate that any new NAFTA agreement will not be reached until after the mid-term elections in November. 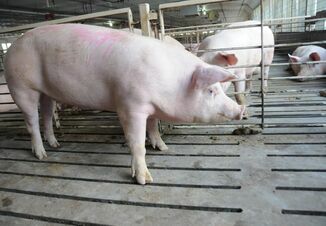 The recent outbreaks of African Swine Fever (see page 21 for more on the ASF outbreaks) in China are placing a new sense of urgency on Congress to get the National Animal Disease Preparedness and Response program included in the next farm bill. Before leaving for the August break, the House of Representatives voted to instruct its farm bill conferees to support funding for the program. The groups hope the conference committee will come together to establish and fund the program in the new farm bill. The farm bill conference committee is set to meet after Labor Day. Farm groups came together to send another letter to the leaders of both the Senate and House agriculture committees in mid-August. The letter asks the committee leaders to ensure the new farm bill will provide an adequate safety net that includes risk management tools. Crop insurance should be one of those tools to help farmers manage in difficult economic times. The current farm bill expires Sept. 30 and these groups made it clear to the committee leaders that an extension, even a short-term extension, is not acceptable. Secretary of Agriculture Sonny Perdue announced more changes at USDA that are part of the administration’s goal to strengthen the department. The Economic Research Service (ERS), currently under USDA’s Research, Education and Economics mission area, will realign once again with the Office of the Chief Economist (OCE) under the Office of the Secretary. Perdue also announced most employees of ERS and the National Institute of Food and Agriculture (NIFA) would be relocated outside of the National Capital Region. No announcement has been made in regard to the new location for the agencies. The relocation is expected to be completed by the end of 2019. These changes are the most significant since the creation of the office of the Undersecretary of Trade and Foreign Agriculture Affairs. 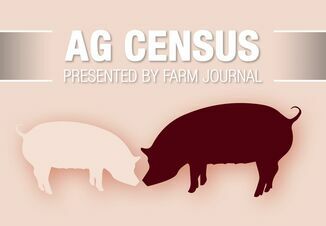 Joy Philippi is a fourth-generation pork producer and farmer from southeast Nebraska. She owns and manages Philippi Farms LLC, a family partnership that produces hogs and row crops. She has been actively engaged in public policy and regulatory affairs advocacy for many years, beginning as a producer leader for the Nebraska Pork Producers Association.